This footbridge in Payerbach, generally known as Parksteg, was built in 1903. 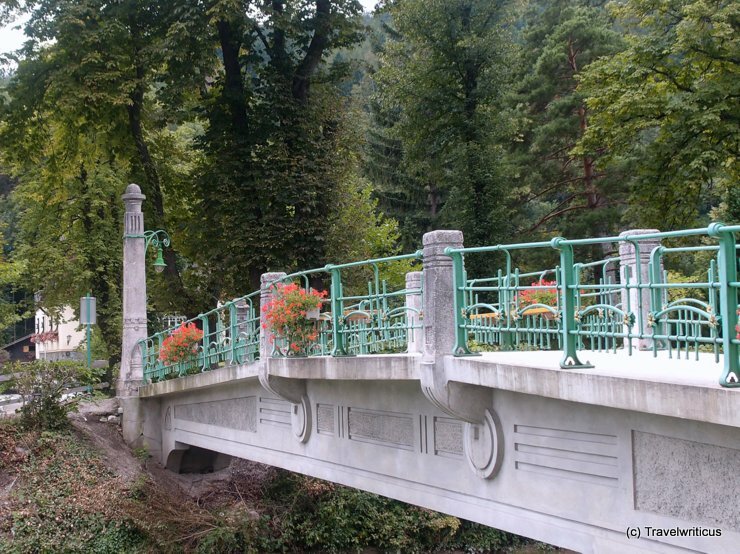 It is a combination of concrete and a railing in the style of Jugendstil. I was especially impressed by the idea to create the ornaments by using cast concrete. This entry was posted in Bridges and tagged Austria, Lower Austria, Payerbach by Travelwriticus. Bookmark the permalink.